Resources from the Industrial Heritage Conference 2015 in Manchester, in partnership with Historic England and Heritage Lottery Fund. There were some fantastic speakers and great debates at the industrial heritage conference on the 1 and 2 of December 2015. Here are ten quotes that really capture the mood. 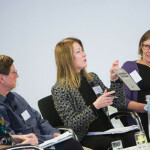 Find out what the hot topics were at the Industrial heritage conference and what are the messages that we took away from the event. 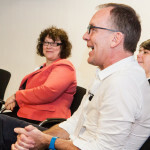 Didn’t make it to our Industrial Heritage Conference? These five videos will give you a taste of the amazing projects we heard about and discussed over the two days. 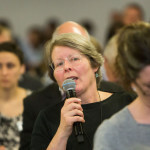 During our wildly successful industrial heritage conference last week, inspiring heritage-related conversations flowed throughout the room and onto the internet with energized delegates tweeting about their experiences. Here’s the top 20. A series of beautiful images shown at the Industrial Heritage Conference during Sally McDonald’s welcome speech to the city. Sally is the Director of Museum of Science and Industry in Manchester, which is located on the historic site of the world’s oldest surviving passenger railway station. 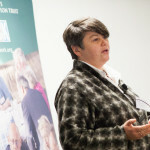 Carole Souter CBE, Chief Executive, Heritage Lottery Fund (HLF) discusses how the HLF have supported the renewal of industrial heritage and what their plans are for ensuring that the UK’s industrial buildings find new uses. 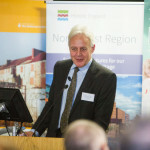 Duncan Wilson OBE, Chief Executive, Historic England talks about the importance of the UK’s industrial heritage at the joint conference in December 2015. Presentation from Jonathan Robinson, The Guardian on remodelling industrial buildings, tricky issues using the Impact Hub and The Guardian’s Hub at Midland Goods Shed, King’s Cross as a case study. 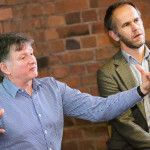 Peter Cartwright, Director, Cartwright Pickard Architects talks about issues often present themselves when remodelling industrial heritage buildings, using Seller’s Wheel in Sheffield as an example. Michael Schwarze-Rodrian is the head of the Department European and Regional Networks and the EU Representative of the Regional Association Ruhr (RVR). 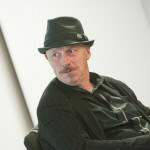 His experiences are with urban landscapes, integrated strategies and project management. 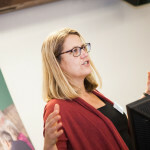 Ros Kerslake, CEO at The Prince’s Regeneration Trust, discusses the development of Middleport Pottery from the vision and planning stages to the key challenges and impact. For Thom Aussems, the ‘Transformation’ of the Netherlands is central to his career. For the last 15 years he has been the CEO of Trudo where he has led a number of transformational projects, such as Strijp S (the former industrial plot of Philips). Find out more in this inspirational presentation. Kate Stewart discusses how Friends of the Flyover used crowdfunding to garner support for their project in Liverpool. Community-led heritage projects work best when you have good relationships with all those involved in the development. 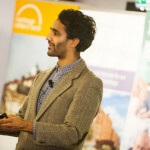 Commonplace explain the key steps of your campaign and how to get the word out using a range of digital and marketing tools. 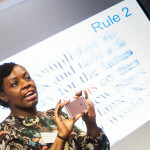 Noami Sesay explains how to tell a digital story that captures the attention of your audience. Since starting at Birmingham Conservation Trust, Simon Buteux’s main project has been Newman Brothers, a late Victorian coffin fittings works, now a multiple award-winning mix of innovative museum and let units. Kerrie Sweeny is responsible for overseeing the development and management of Titanic Foundation’s assets, including the former Harland & Wolff Drawing Offices, developing and implementing multi-disciplinary projects and funding applications that will promote the vision of Titanic Foundation.